Have you ever imagined how does the ranking system of Google work? This is one of the biggest questions that the people belonging to SEO world often ask. To make your website rank on top of the Google’s list, especially in the first three positions, it is very important that you understand it’s uncovered ranking signals so that you can optimize your pages and avail the best chance of being displayed to the most potential customers. 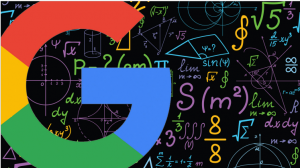 Google uses a number of factors in its algorithm to determine the most helpful results to the users. It is estimated that there are around 200 dominant google ranking factors that are used to bring out the best result. Here are 91 top factors that you must know to make your business prominently visible on Google’s search page. How does the Google ranking system work? Before going through the top factors used by Google to determine its ranking, understanding its working is a must. Google’s algorithms are smart for they constantly keep changing and adapting to the dynamic environment to give best results to the users and to prevent search result manipulation by the black hat SEO practices. These algorithms take into consideration a lot if ranking signals before they could display any result. The reason for it is that a single search item may have various different meanings and interpretations. Suppose a person searches for any keyword like a restroom, Google has no clues to give exact matches for your search. It may suggest you all the things related to restrooms. Therefore to give you exact results that match your need, Google tries to guess your intent and then customize the needed results. 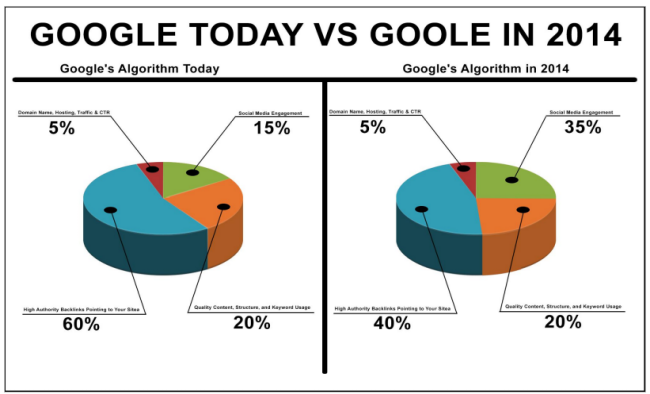 The algorithms used by Google adapt and identify user’s intent over time-based on the ranking signals and historical data giving out the most helpful answer. 1. Keyword as the first word in Domain – The domain which starts with the target keyword is considered to have an edge over those sites which either do not have the keyword or have it in the middle of the domain. 2. The legitimacy of Domain – Where the legitimate or valuable domains are said to run for several years, the illegitimate or the doorway domains is hardly used for more than a year. 3. Keywords in sub Domains – It is expressed by various experts that the subdomain having keywords can efficiently boost up the ranking. 4. Domain history – Website having several drops or a volatile ownership may affect the dominant Google ranking factors. Such site history could be reset by Google, negating all the links that pointed to your domain. Therefore this puts a great impact on the ranking factors. 5. The country extension – If you want your website to get popular only in your country then having a country code can help the site rank, however, this may limit sites ability to become global. 6. The domain age – Backlinks from the aged domains can be more impacting and powerful as compared to the backlinks from new domains. 7. A number of referring domains – Linking of the root domains are said to be one of the most important factors in Google’s ranking algorithm. 9. Authority of the linking page – The page rank or the authority of the referring page has always been considered to be of extreme importance in the Google’s ranking factors and is still a very crucial factor. 10. Links from the competitors – Google considers the link from other pages that share an equal rank in the SERP more valuable for page ranking for a particular keyword. 11. The homepage authority – The backlinks to the home page of a referring page hold special importance in evaluating links and therefore its sites weight. 12. The contextual links – Google considers the contextual links or the links embedded inside a page and its content more powerful than the links found elsewhere on the page or an empty page. 13. Internal link anchor text – The internal link anchor text can be said as another relevancy signal. However, the anchor texts that come from external sites are better relevancy signal as compared to the internal links. 14. Location of a link in the content – The location where the backlink has been placed, plays a great role in the ranking factor of that site. 15. The relevancy of the link domain – The link from a site of similar niche is said to be more significant and powerful than the link from a completely unrelated website. Similarly, the link from relevant page passes more value. 16. Keywords in the title – It is very pleasing to the Google if it finds the link from pages that contain the page’s keyword in the title. Therefore this forms a very dominant Google ranking factor for the websites. 17. A positive link velocity – The website having a positive link velocity generally gets a great boost in the SERP position as it is the signal that your site is getting more popularity. 18. Links from the Hub pages – An algorithm suggests that the links from pages which are considered to be of top resources or hubs are given special treatment and form an important part of Google’s ranking system. 19. The co-occurrences – This is again a great signal that helps Google decide what your page is about and on what rank it should be placed. These are the words that tend to appear around the backlinks of that page. 20. The age of backlink – It is said that Google gives more importance to the older links than the new-minted backlinks. Therefore the older backlinks are seen as having a higher position. 21. The links from Real sites vs. fake blogs – Due to the increase in proliferation of the blog networks Google has started giving more importance to the links that come from real sites as compares to the fake blogs. 22. Natural link profile – A website having a natural link profile is going to rank high and will be more durable to the updates than the ones that have been using black hat site building tactics. 23. Schema. Org usage – The pages supporting microformats can rank above the pages which do not. This may be a direct boost as the pages with micro formatting have high SERP. 24. Word count of the linking content – The link content having a word count of or more than 1000 words are given more importance against the short content links. 25. Rank Brain – This is Google’s AI algorithm. People believe that its main purpose is to measure how users interact with search results. 26. The organic click – As per Google, the pages that get clicked more in the CTR are likely to get a SERP boost for a particular keyword. 27. Bounce rate – Though it has not been proven until now a correlation has been seen between the bounce rates of a site and Google’s rankings. 28. The repeat traffic – Sites with repeated visitors are said to have higher rankings in the Google search page. 29. The chrome bookmarks – Google collects all the Chrome browser usage data and therefore the pages that get bookmarked in chrome are seen with increasing ranks. 30. The number of comments on a site – It is said by Google that the number of comments on a site has helped a lot in ranking improvement. Therefore the number of user comments on a page is a great ranking factor for Google. 31. Dwell time – This is again a very important Google ranking factor. Dwell time is the time a user spends on a page. The sites that attract higher user Dwell time are said to rank higher. 32. Title tag starting with keyword – The title tags that start with the keyword are seen to be performing better than they’re counterparts. 33. The content length – Content-length is an important factor. 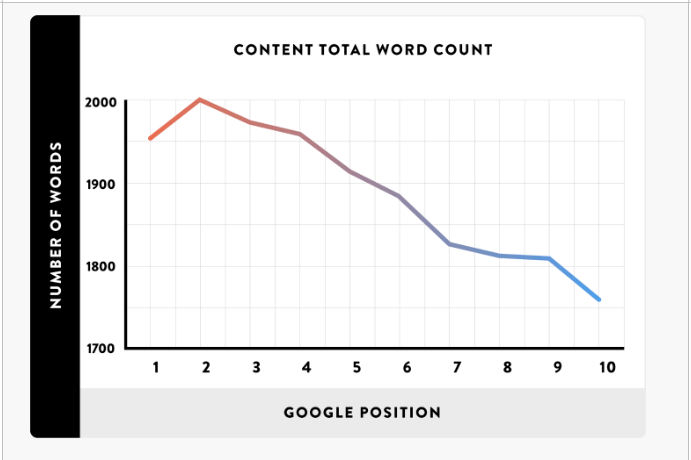 Content with a longer length is given much preference in the Google algorithm. 34. The table of contents – Sites having a table a well-linked table of contents becomes easy for Google to understand and therefore they get preference. 35. LSI signals in the description and title tags – This helps Google understand the discern between words and its potential meaning. 36. The topic in depth – Pages covering every angle of the topic and in-depth discussion are given more importance. 37. Page loading speed – Google uses the loading speed of the page as a significant ranking factor. 38. Entity match – If the page is getting exact entity match user is searching for, it may get a ranking boost. 39. Google Hummingbird – Helps Google understand the topic of the webpage and rank it accordingly. 41. Historical page updates – The frequency of the page updates play a role in the freshness factor of ranking. 42. Keyword prominence – Having a keyword in the first 100 words of content tends to increase the ranking. 43. Grammar and spelling – This may serve as the quality signal in Google’s ranking factors. 44. Mobile usability – The sites which are mobile friendly are given more importance as against others. 45. Helping supplementary content – It is a signal of contents quality and also a good ranking factor. 47. Reading level of WebPages – It is one of the most important ranking factors considered by Google. A basic reading level is what is preferred the most. 48. The domain authority – Page with the authoritative domain will be ranking higher. 49. URL path – Page closer to the home page gets a slight boost than that which is buried deep down. 50. Page category – Page category is a relevancy signal which gives the site a boost. 51. Bullets and numbers – Numbers and bullets make the content easy and readable and have accepted them to be a ranking factor. 52. Priority of the page – The page priority in sitemap may be a ranking influencer. 55. Anchor text of brand name – It is a simple but very effective ranking factor. 56. The brand searches – More brand searches means the brand is real and popular. Popular brands get more preference on Google search. 57. The social media accounts – The popularity and legitimacy of social media accounts play as an important ranking factor. 58. Mentions of the brand on top stories – The brands which are trending are mentioned in top stories are given more importance as per they’re popularity. 60. The trust rank – Trust based result ranking is a very important ranking factor. 62. Presence of sitemap – It increases the visibility and helps easy and through search engine index. 63. The site uptime – Google prefers those sites which do not face lots of downtime or server related issues. 67. Breadcrumb Navigation – It is stated by Google that they have been using Breadcrumb navigation to categorize the information from sites in the search results. 68. Mobile optimized – Since almost all the researches are done from mobile, Google give preference to the mobile-friendly websites only. 69. Youtube content – It is a proven fact that youtube videos are given special treatment in the SERPs now. 70. Google analytics and search console use – Having them installed can probably increase the ranking of the page. 71. Site reputation – User reviews are an important ranking factor by Google. 75. Featured snippets – Google is likely to prefer the featured snippets content being a combination of length, formatting etc. 78. The domain diversity – A diverse domain is a good ranking factor for Google. 79. Transactional Searches – The transactional searches display different results like for shopping, bookings etc. transactional searches are another ranking factor for Google. 82. The payday loans update – This is a very special algorithm that is designed to clean up the spammy queries. 83. Redirectors – These are significant ranking factors. Sites with sneaky redirectors are not allowed and can be de-indexed as well. 85. Site over optimization – Over optimization of any site using keyword stuffing etc. can be penalized by Google. 86. The doorway pages – These are ranking factors that do not allow a site to index. 89. Links from the press releases and articles- it is considered as a link scheme by Google in several cases. 91. Disavow tool – Use of this tool can remove the penalty for sites being victims of negative SEO. In short, it can be concluded that Referring domains, Domain authority, Dwell time, Content quality, Organic click-through-rate, On-page SEO, Mobile usability and the Total number of backlinks are the most important Google ranking Factors used in 2018.